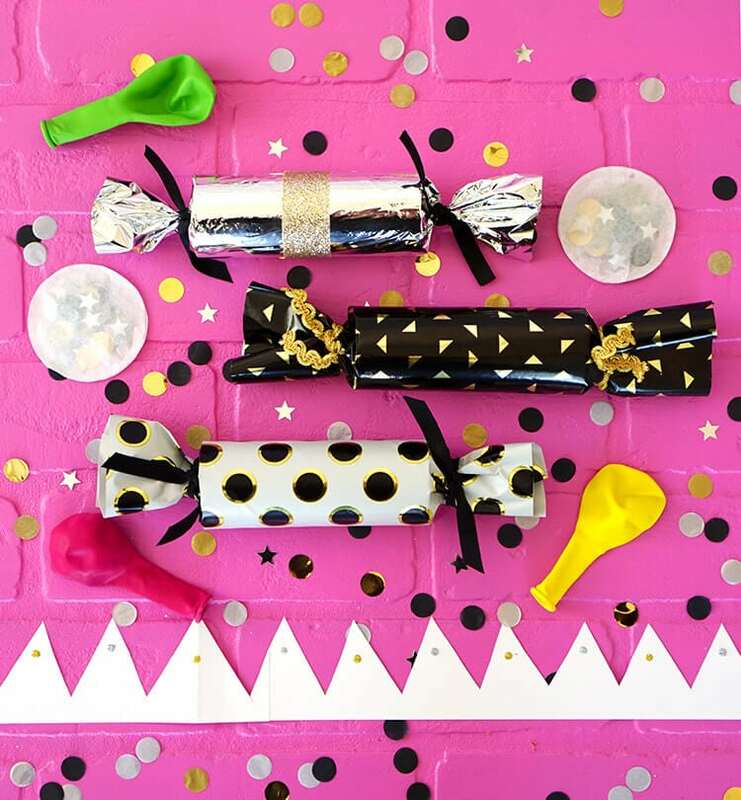 Learn how to make Christmas Crackers that really POP! 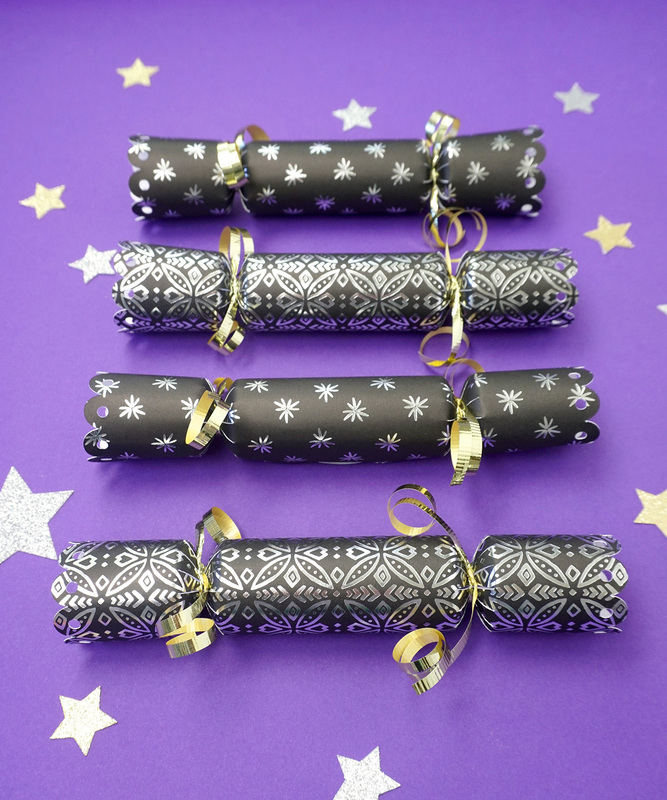 These English-style DIY Christmas crackers are easy to make and tons of fun! 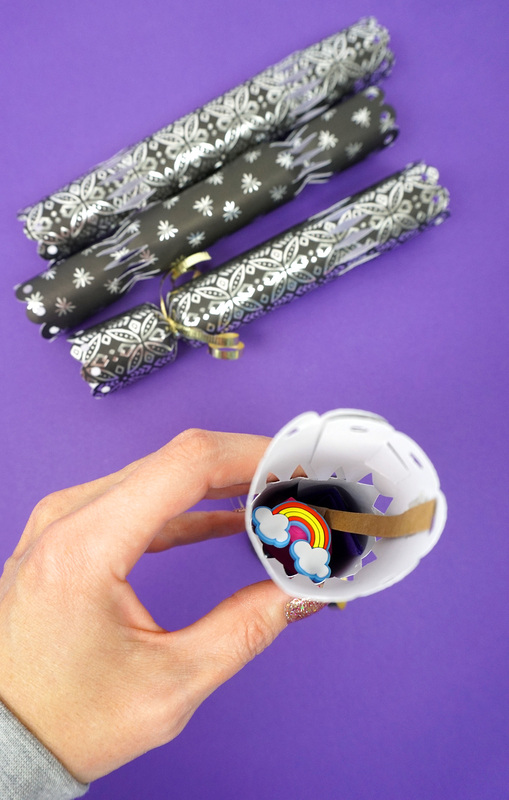 These homemade “Christmas” crackers are tons of fun year round! 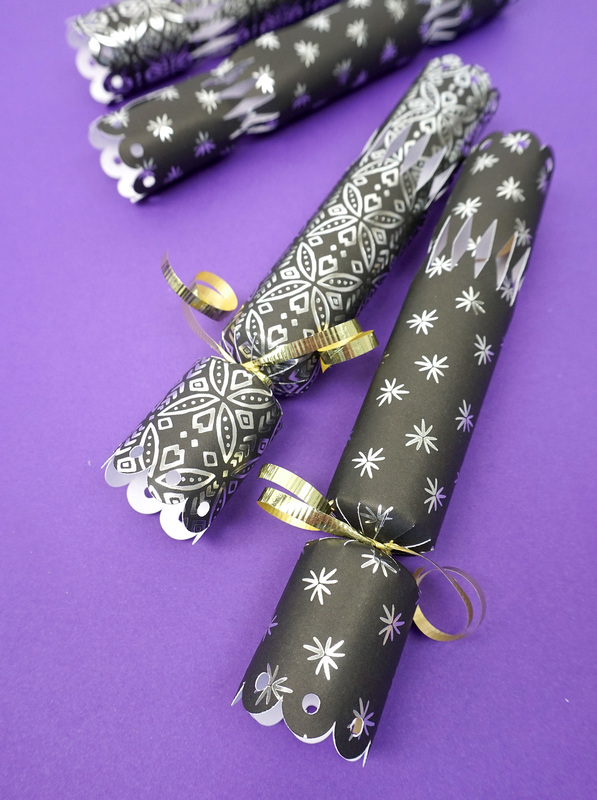 Although traditionally a staple of classic English Christmas celebrations, crackers are a fun party favor that you can enjoy at any time of the year. 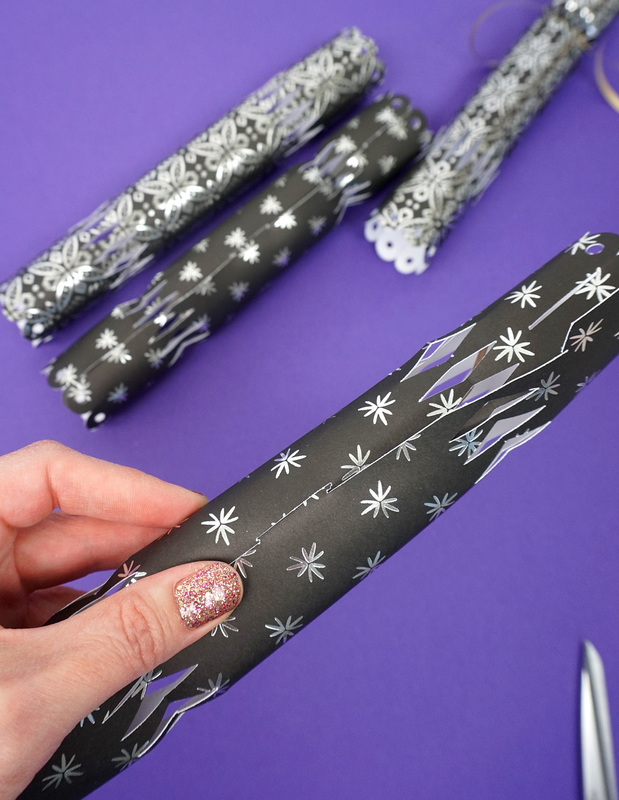 Personally, my favorite time of year to make Christmas crackers is for New Year’s Eve! 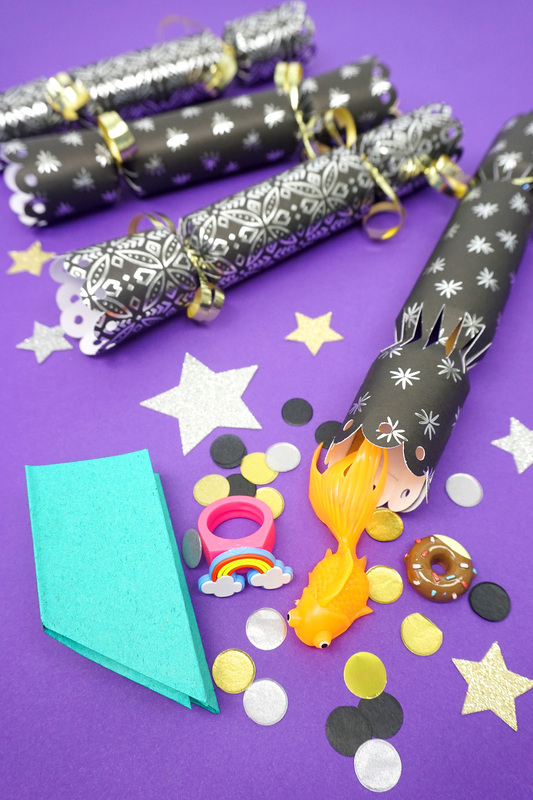 We fill the crackers with a traditional paper crown, confetti, a novelty toy, and a fortune for the new year! 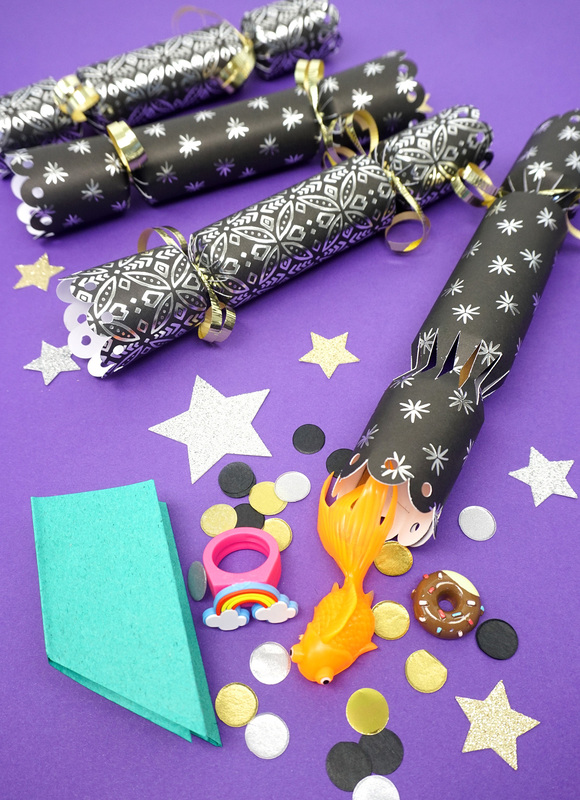 A couple of years ago, we shared an easy tutorial for DIY Party Crackers (without the snap) if you’re not a fan of the mild pop that the cracker snaps emit. Cracker Fillers – paper crowns, novelty toys, fortunes (or fortune fish! ), etc. 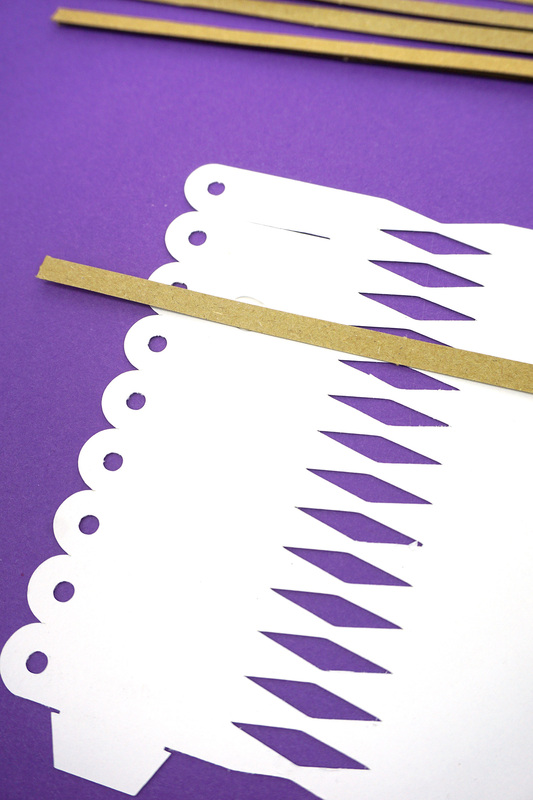 Use your Cricut machine or craft knife and templates to cut out the paper crackers. Position the cracker snap on the cracker. Use a dab of hot glue to attach the cracker snap to the edge of the cracker. Allow to cool, trim excess, and repeat for the other side. 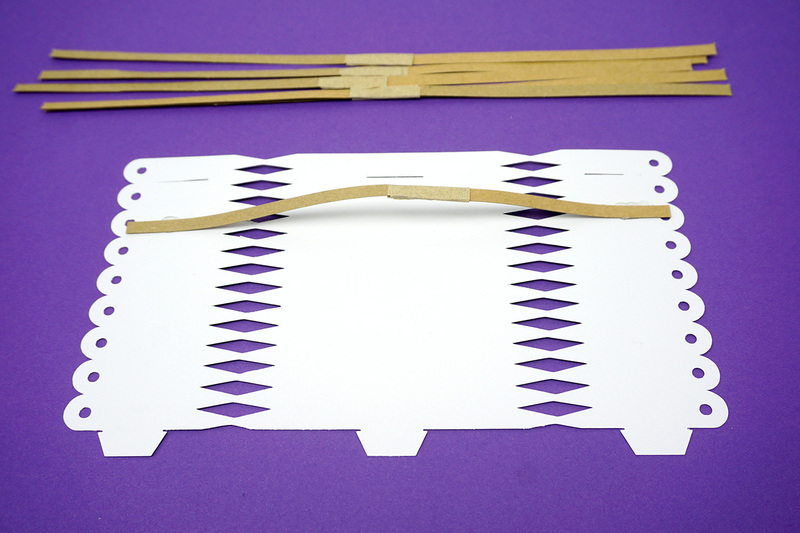 Note: when using thicker paper to make crackers, I like to add a little bit of extra length to the cracker snap, allowing it to bulge just a tiny bit in the middle – this allows you to pull on the cracker ends with the extra bit of “oomph” that might be needed to rip through the thicker paper. Roll the tubes and insert the tabs into the slots. Tie one end closed with ribbon or twine. 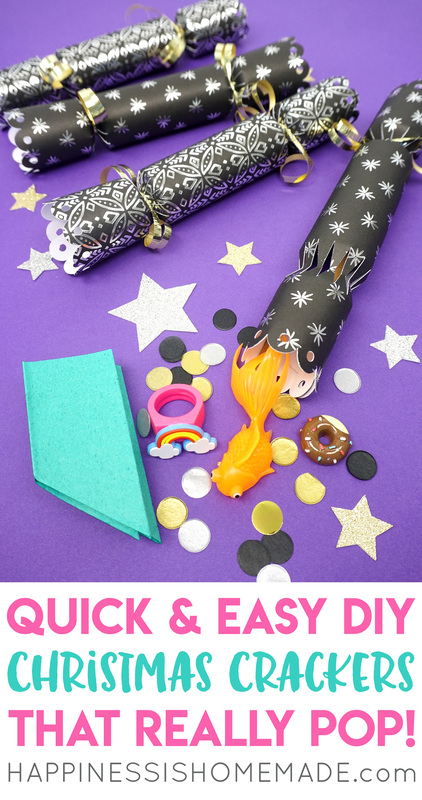 Fill the cracker with the crown, toys, fortunes, jokes, confetti, and more! 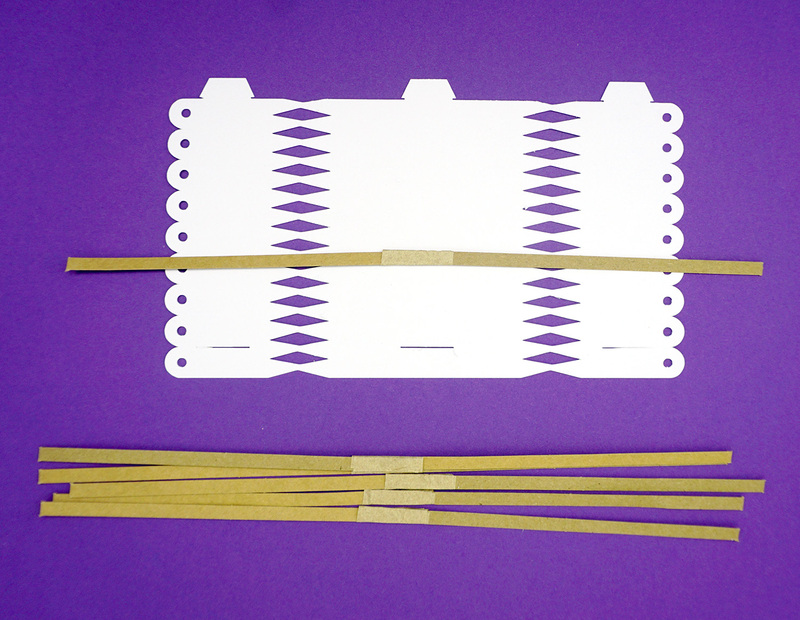 Tie the opposite end closed, and your Christmas crackers are ready for giving! They make excellent party favors and stocking stuffers! 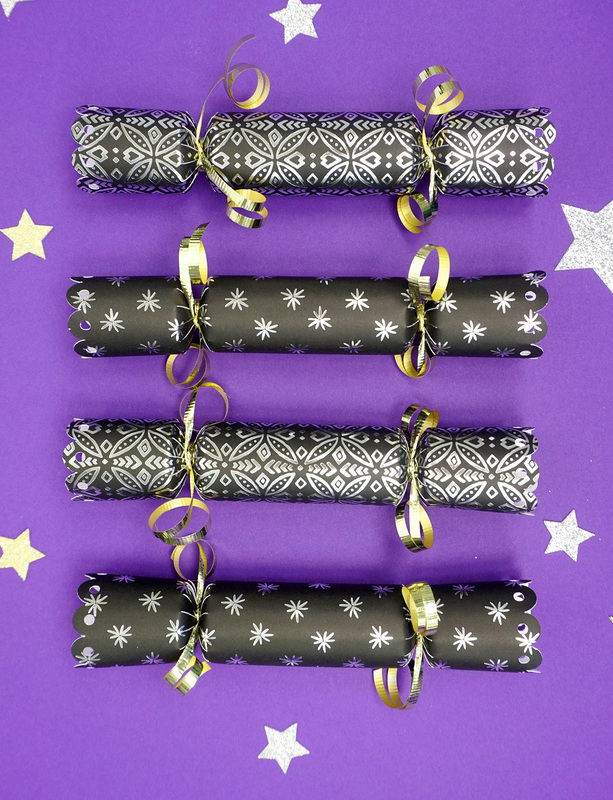 Pin these Christmas Crackers for Later! 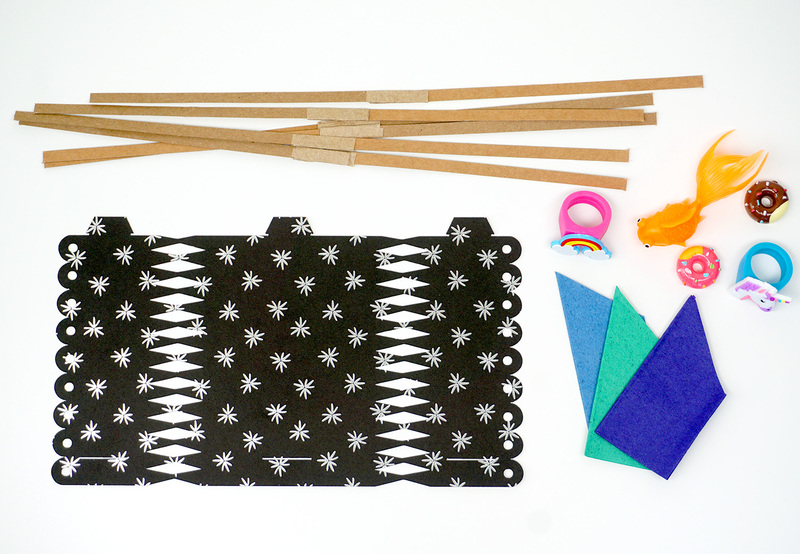 I love, love, love this project idea! I adore crackers, but find that the jokes can sometimes be about things I am unfamiliar with, and the toys can be very random. By making my own I can make the jokes relevant to things my partner and I joke about, and include toys that we’d actually enjoy. It’s also a great way to ensure I only make enough for us to actually use, so none go to waste! Definitely book marking this for next year!